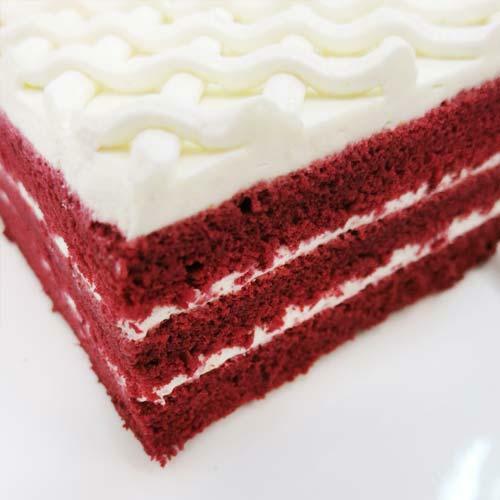 Light cream cheese filling between layers of soft, moist sponge stained with beetroot juice. **For parties/meetings - This can be sliced into 12pcs. Please indicate if you would like us to slice it for you. **For a small celebration, you can add customised wordings on a piece of chocolate. Please make your selection below.